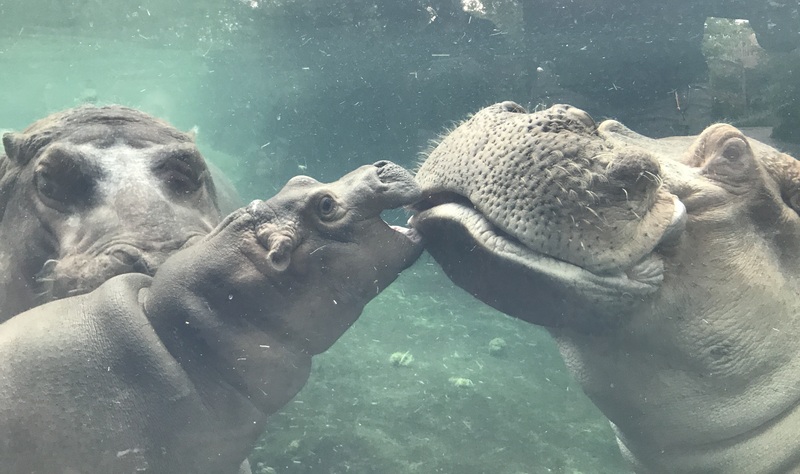 CINCINNATI, OH (October 31, 2017) – The Cincinnati Zoo & Botanical Garden is mourning the death of 36-year-old Henry, father of the famous Fiona. He had been struggling with health issues for months and had lost hundreds of pounds. According to vet staff who had been carefully monitoring him, he took an obvious downward turn in the past few days and was weak and unsteady. After an exam this morning, they determined that Henry’s quality of life would not improve and made the difficult decision to humanely euthanize him. He was also smitten with Bibi, the Zoo’s 18-year-old female, and followed her everywhere. 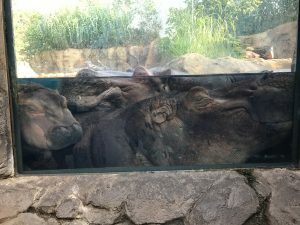 The two were put together when Hippo Cove opened in July of 2016, and Fiona came along soon after. She was the 6th calf that Henry sired over the years and, because she survived against all odds, has become a celebrity and an ambassador for the species. He couldn’t have left a better legacy. 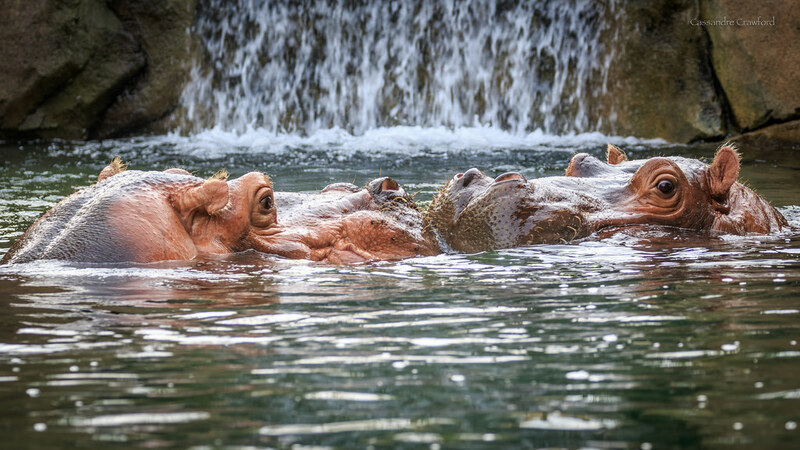 For most of the summer, Henry, Bibi and Fiona played, soaked and napped together in their outdoor habitat. After a rough start for the prematurely-born Fiona, who had to be cared for by Zoo staff for the first months of her life, the world celebrated the happy hippo family reunion. Then, for no apparent reason, Henry lost his appetite. It came and went for several weeks during which time the care team treated his symptoms and tried to determine the cause. A full necropsy (animal autopsy) will be performed and should help vets understand what was wrong. 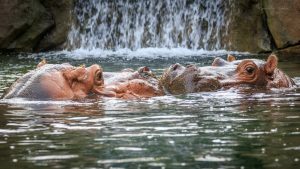 Henry, from Dickerson Park Zoo, and Bibi, from St. Louis Zoo, were the first residents of the Zoo’s Hippo Cove, arriving early last summer on a breeding recommendation from the Association of Zoos and Aquariums (AZA) Species Survival Plan (SSP). 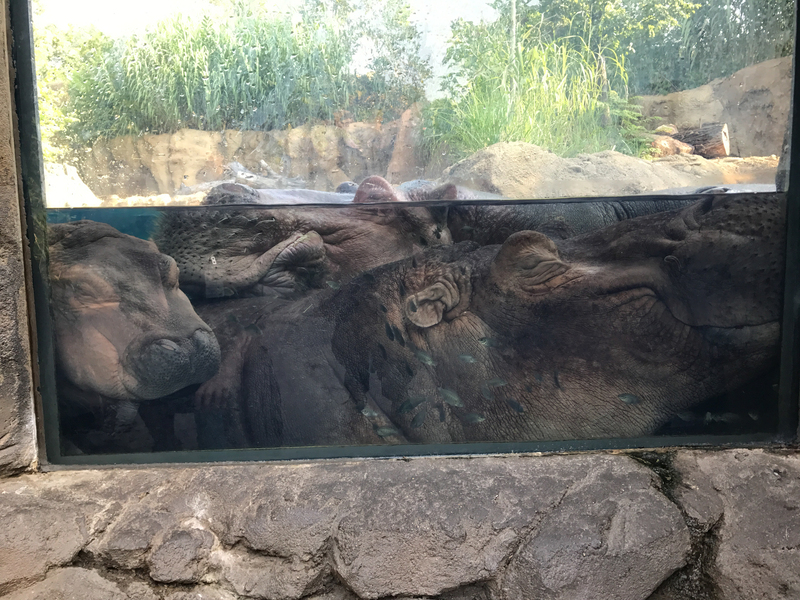 The median life expectancy for a Nile hippopotamus is 35 years. Numbers have declined by 7 to 20 percent over the past 10 years and likely will continue to decline. There are estimated to be between 125,000 and 148,000 remaining in the wild. Primary threats are poaching (for their ivory tusks and meat) and loss of habitat as more water is diverted for agriculture. The species is considered vulnerable.